Many works on surrogate-assisted evolutionary multiobjective optimization have been devoted to problems where function evaluations are time-consuming (e.g., based on simulations). In many real-life optimization problems, mathematical or simulation models are not always available and, instead, we only have data from experiments, measurements or sensors. In such cases, optimization is to be performed on surrogate models built on the data available. The main challenge there is to fit an accurate surrogate model and to obtain meaningful solutions. We apply Kriging as a surrogate model and utilize corresponding uncertainty information in different ways during the optimization process. 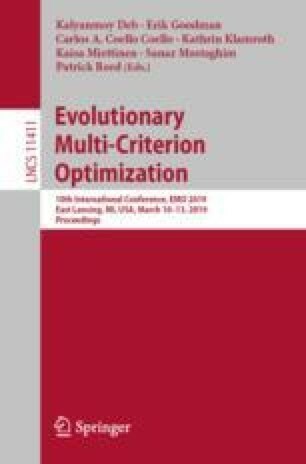 We discuss experimental results obtained on benchmark multiobjective optimization problems with different sampling techniques and numbers of objectives. The results show the effect of different ways of utilizing uncertainty information on the quality of solutions. This research is related to the thematic research area Decision Analytics utilizing Causal Models and Multiobjective Optimization (DEMO) at the University of Jyvaskyla. This work was partially supported by the Natural Environment Research Council [NE/P017436/1].